I always had a soft spot for games with some kind of a visual gimmick, especially when it translates well into the gameplay, like in Okami. Draw something with a brush and it suddenly comes to life! A simple thing that carried a good chunk of the game. While I’m no stranger to adventure/point n click games, there was something in State of Mind that served as a bonus incentive. 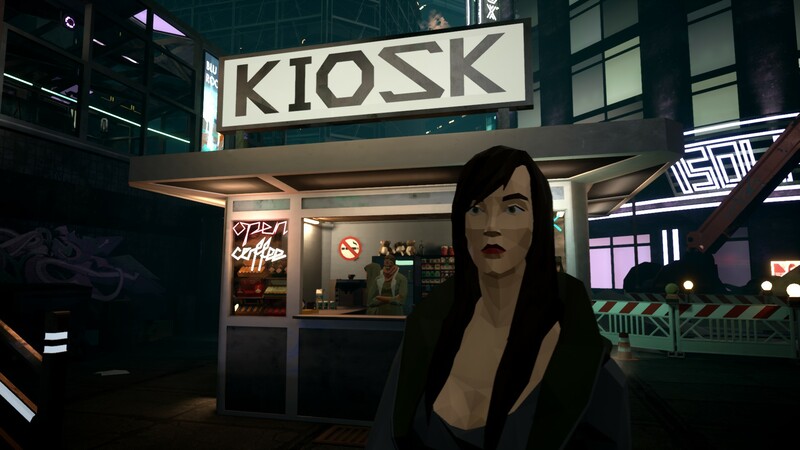 The game sports some interesting visuals, mixing realistic environments with low-poly character models. If you ever played the Breach mode in Deus Ex: Mankind Divided, you’ll know what I’m talking about. But more on that later, let’s start with a selling point of any adventure point n clicker. Berlin, 2048. The world is on the edge. Lack of resources, illnesses, crime is on the rise, EA has bought Valve. Everything is advancing, but for the worse. Drones and humanoid robots are replacing people in the public sector, everything is interconnected, cameras around every corner….in other words, not fun. Richard Nolan is one of the few journalists criticizing this grim advancement and soon enough his life takes a turn for the worse. Waking up after a car crash, his wife and son are nowhere to be found. Shadowy figures are at play and Richard realizes he maybe bit off more than he could chew. Perhaps it wasn’t a good idea criticizing the system that has a power to turn your life upside down over in an instant. Richard is also one of the six playable characters as you all work toward a common goal of unraveling a global conspiracy. Strength in numbers, as they say. 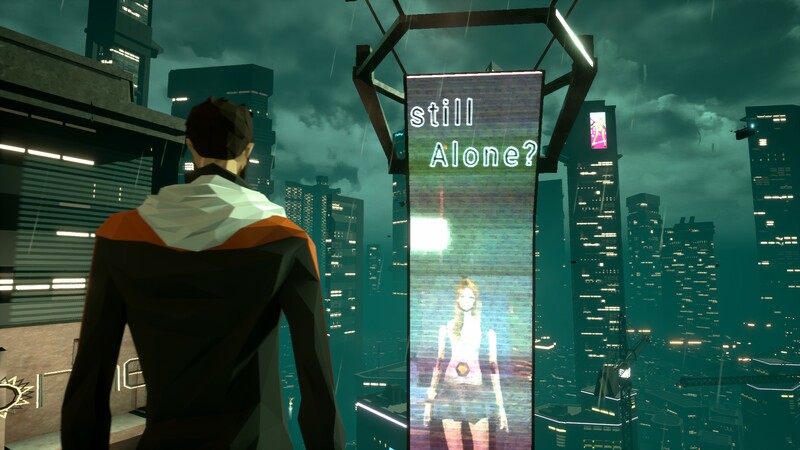 State of Mind is your everyday point n click adventure where you slowly expand the story by interacting with others, the environment and puzzling the pieces together. The few puzzles I encountered weren’t difficult by any means, as long as you remember the things you’ve read and paid close attention to your surroundings. Some of the most relevant clues are hidden in plain sight. Almost every item in a game can be examined if only so you could hear Richard’s thoughts about it. The UI feels a bit behind the times, but I suppose I can write that off as a minimalistic design of the grim and gloomy future we’re in. Your interactions with other characters are often predictable in a rather pleasant way. Usually, I’m paranoid about my future decisions in these kinds of games because I never know if the characters behave in a reasonable manner or if any conflict is there as a cheap way create a plot twist. None of that is present in State of Mind. In other words, Richard and other characters (whether playable of just NPCs) behave in a reasonable manner and you can often predict their reactions before key decisions. Characters behaving just like real people. Well, if we don’t count the robots. And now for the juiciest part. The selling point. The shazzaz of the game. I don’t know if that last thing is even an actual word but at least this article will now be a top result if someone ever decides to google that term. In any case, let’s talk about those low-poly visuals. A daring and peculiar design choice that makes the game stand out from the rest. The contrast between low-poly characters and realistically rendered environments in State of Mind also works rather well. It gives the game sort of a dream-like atmosphere. During my play, I often wondered if Richard is even alive after the crash. What if I’m just playing his comatose dreams? I suspect that the art was a big culprit for my paranoia. The one issue I have here is that after all that talk and constant reminding about the gloomy future the game is set in….I did not really see much of it. There was plenty of talk about crime, lack of resources and so on yet the future Berlin looked surprisingly clean and tidy. Even apartments of characters were top notch, with everyday kitchen appliances that can print any food you think of. The fact that you can also have a personal robot butler made this a pretty sweet deal. 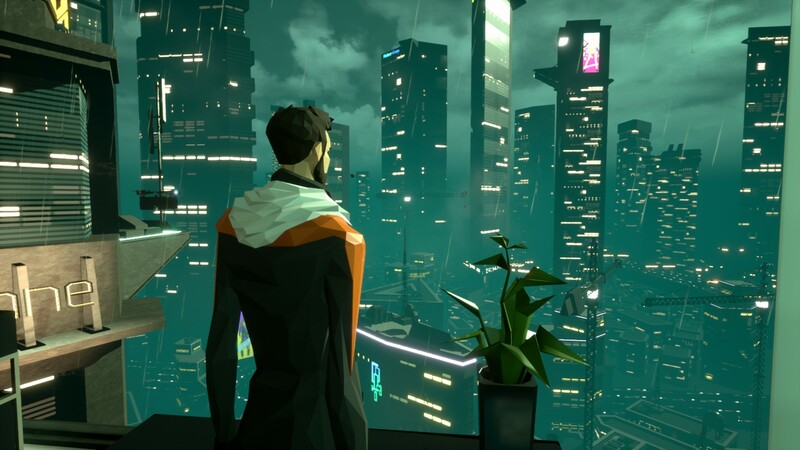 The audio in State of Mind is what one might expect from a game set in the future with clean streets and minimalistic interior design. Most of the time you’re accompanied with minimalistic synth notes as a reminder that future is very much electronic and full of technology and various beeps so of course, that translates to music as well. On a more serious note, I liked how in most apartments in game, you have the ability to choose the ambient music for yourself. Other times, the music is anything but serene during the intense story segments but all in all it works rather well and perfectly compliments the setting of the game. If you’re a regular fan of adventure point n click games, the State of Mind already has everything to nudge you in the direction of purchase. If not, the original art and compelling story are there to turn you from potential to full-fledged owner of the game. And at the core of it, behind the story of a global conspiracy and government shenanigans, there is another, more personal narrative. The one about surviving human connection despite all these ways we came up with to strengthen our technological shell. The one where compassion and humanity triumph over metal and greed. A cheapskate in me might even say that this way you get more than one game. 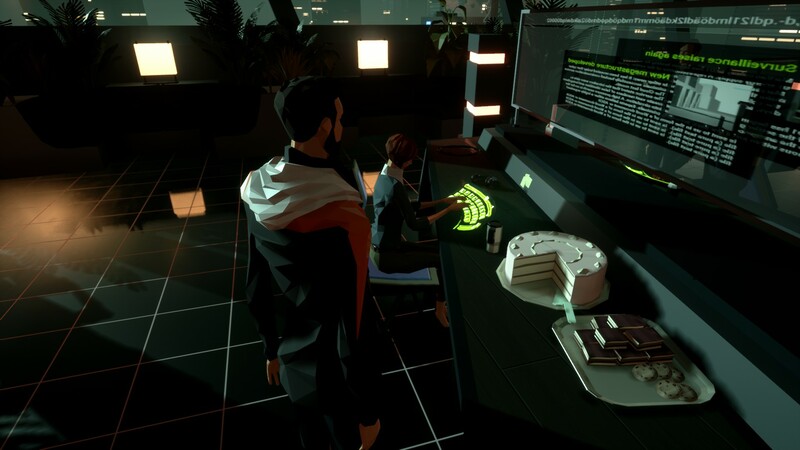 No matter how you look at it, State of Mind is a good game deserving of your attention. 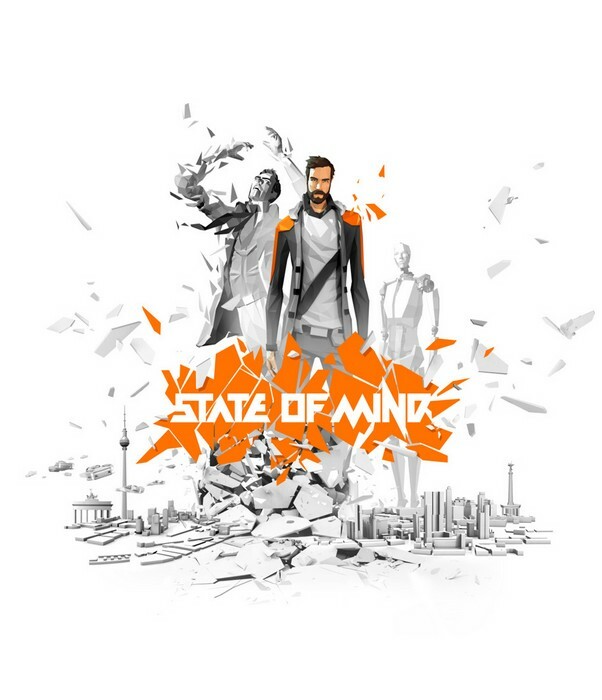 On top of a compelling story, State of Mind brings something new to the table with a unique visual style.